There’s no denying it: car loans can generally be pretty confusing to understand. All of the nuances and terms can be too much to grasp, and you’ll surely miss something that’s hidden in the fine print. These points are undeniable, and we agree with you if you subscribe to this point of view. However, there is also a number of misconceptions that surround car loans. Often times, these ignorant (for lack of a better word) assumptions may lead to customers avoiding these offerings altogether. In reality, these loans are actually plenty fair and could separate a customer from acquiring a vehicle and not acquiring a vehicle. For example, some people assume that car loans are automatically made to benefit the dealership, leaving customers with a poor deal. They also assume that the dealership is in complete control of the entire negotiation. For starters, there are plenty of dealerships that offer reliable and trustworthy car loans. These businesses tend to be transparent with all of their offerings, so customers won’t have to be worried about any unanticipated charges or fees. Of course, there are also dealerships that use attractive car loan offers to entice customers… and then subsequently take advantage of their newest client. There’s a variety of methods these businesses can utilize to pull a fast one on their unassuming customers. For starters, you probably shouldn’t take all car loan offerings at face value, especially if they’re being displayed on a flag or giant sign. You can’t necessarily blame the dealer for touting these offerings; they’re focused on doing whatever they can to get customers into their business. 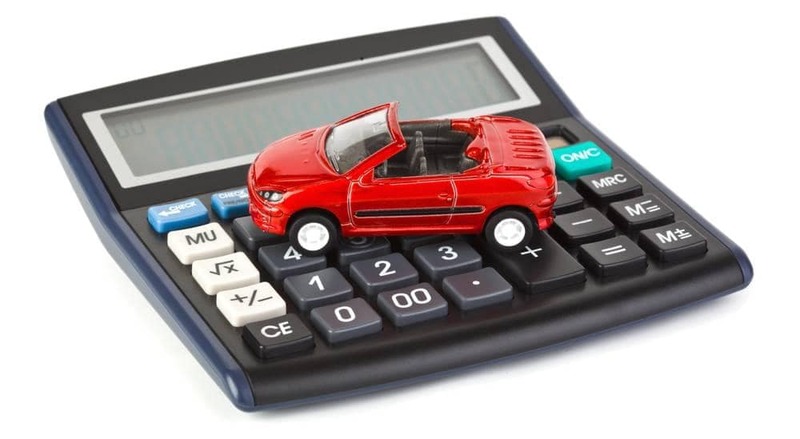 However, as one of those customers, it’s important to remember that there are many additional financial aspects that accompany a car loan or car purchase. For instance, if a customer decides to opt for a particular dealership’s loan offer, this salesperson may refuse to negotiate the price of a car. In this case, it may make more financial sense to opt for a pricier loan and (the opportunity to negotiate for) a more affordable vehicle. Furthermore, it’s important to inspect all of the fine print on a particular loan agreement. Sure, that attractive offering may sound enticing, but it may simply be the ideal offering – not the standard offering. There may be some requirements that are practically impossible to meet, or there could be some hidden fees that tend to go unnoticed. The best way to avoid running into one of these issues is by shopping around for the best possible offer. By accepting the first option you come across, there’s a good chance that you’re missing out on an excellent deal. There’s also a good chance that a dealership may be taking advantage of you, as multiple offers will allow you to recognize any discrepancies or oddities. Since these dealerships are providing you with the necessary amount of money to purchase that vehicle, you shouldn’t be under the mindset that they’re completely in control. Actually, it’s the contrary. Sure, these loan offerings obviously separate you from having a car and not having a car. However, assuming your credit is up to par, you shouldn’t have any issues shopping around for the best offer. This obviously means that you can avoid getting stuck with an awful deal, but it also means that you could leverage these offers to get the best possible deal. Don’t let the dealership bully you into a deal. Yes, the vehicles on their lot may be attractive, and their loan offerings may fit all of your needs. However, if one aspect of the agreement tends to turn you off, you shouldn’t be pressured into accepting the deal. Rather, you should look for a better deal elsewhere. These misconceptions generally apply to those who are seeking an auto loan for a used car, and they’re especially applicable for those seeking a used car from a buy here-pay here dealership. Some customers assume that these dealerships will be looking to recoup the value of the vehicle via the down payment. This way, your “loan” payments go directly into their pocket. Furthermore, some customers assume that the interest rates that accompany these loans are debilitating and seemingly impossible to ever pay off. Rather, these dealerships aren’t this selfish. Sure, they’re looking to make as much money as possible, but they’re not looking to take advantage of their customers. Instead, they’re hoping that they can help these clients finally acquire a vehicle. Their interest rates or vehicle prices may be a bit more expensive than if you weren’t shopping for a car loan, but you still shouldn’t be scared off by these offerings. It’s really not that bad, right? Car loans aren’t an attempt by a dealership to steal money out of their customer’s wallet. Rather, these dealerships want to sell their inventory. Sometimes, this may only be possible if the business offers their customers some kind of financing deal. When it comes down to it, these offerings are essentially in place to benefit the customer, as those in financial turmoil wouldn’t be able to acquire a vehicle without these advantages. Ultimately, these misconceptions are slightly rooted in reality, but they’re mostly recycled complaints of scorned customers. As a result, prospective customers shouldn’t assume that these warning signs are consistent across the board. Of course, if you visit DePaula Chevrolet in Albany, New York, you won’t have to worry about any of these things. The dealership offers some of the best prices in the area, and their car loan offerings are both fair and affordable. Therefore, you can commit to one of these deals without worrying about one of those misconceptions becoming a reality.